Surrey is currently the 2nd largest city (by population) in British Columbia, right after Vancouver. Surrey offers its diverse and ever growing population a lot of opportunities in new and growing industries. With this in mind, more people are considering a move to Surrey every day. As a result, the market value of properties in Surrey has achieved a steady climb over the past few years. 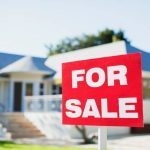 According to Century 21, the average selling price of a home is $876,000, while the average price of a condo is $412,000. Surrey is a fast paced city, and it offers a lot of opportunities for anyone who can keep up. 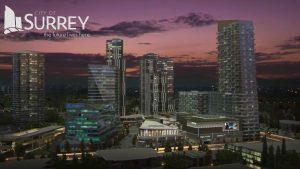 If you’re planning a move to Surrey, you might want some information on what your new city has to offer. For someone who has lived in a different city in Canada, or even a different country, the change could cause a big culture shock. So before you pack up your bags and buy a one-way ticket out, here is everything you should know about living in Surrey, B.C. The city decides your property tax after a property assessment done on July 1st of each year. However, you don’t get the notice of your property assessment until the beginning of the next year. The notice informs each property owner of the value of their property as at the last assessment and shows how that will affect their property tax. This assessment is carried out by BC Assessment. The City is connected to Vancouver and other cities by the SkyTrain Expo Line. Transportation within Surrey is very flexible, and you can choose to walk short distances, ride a bicycle, take a bus, or take the train. The major mode of transportation within the city is the bus. There are about 1,300+ bus stops in Surrey, B.C. The transportation fare is dependent on which of the three zones you will be travelling to. During the work hour rush, passengers pay according to their zone of destination. However, evening and weekend trips require a flat fee. Frequent commuters have the option of buying and funding a monthly FareCard to save time and money. Residents of the city also have the ability to drive wherever they want. All traffic related issues are regulated by the Highway and Traffic By-Law, 1997. Drivers are expected to have a licence registered in the B.C. province, and their vehicles must also be duly registered. You must also understand the rules of the road and follow them, as ignorance is not an excuse when caught breaking the rules. If you’ve been driving in a country where people drive on the right side of the road, it might take a while to get used to the left side driving practiced in B.C. If you’re moving into the city with children, the provisions for education here are excellent. Schooling is completely free for elementary and secondary students, but parents can also choose to enroll their children in private institutions. Every local district has its standard schools, and they can be contacted to learn about the programs available to your community. The educational system is divided into three parts; pre-school, kindergarten- grade 12, and post-secondary education. If you’re planning to immigrate to Canada with a child below the age of 19, they do not need a study permit to get enrolled in an institution. However, if a child is immigrating without their parents or guardian, they will be required to apply for a study permit. Surrey is a very large city with a growing population. Stats show that about 1,000 people move to Surrey every month. This suggests that there are a ton of people from diverse cultures, creating new ones in their new environment. Regardless of who you are or what you’re into, you can always find a community in Surrey. With SkyTrain and bus stations littered across the city, it’s easy to make plans with friends and travel across the city. The activities you eventually engage in depend on what is important to you. If you enjoy music festivals and concerts, there are more than enough being organized yearly. If you love to shop and visit the mall, there are several malls such as the Central City Mall littered around the city. They also make great hangout and meeting spots for friends. If you love visiting libraries, there a few gems such as the Central City Library with expansive collections. To bond with nature and experience solitude in the fresh, open air, reserves such as the Green Timbers Nature reserve will amaze you. One of the best parts of Surrey is the city’s commitment to maintaining its beautiful parks. Wherever you are in the city, there’s a close by park where you can go to stretch your legs, play with your dogs, or just enjoy the beauty of the outdoors. Within your local community, you also have the benefit of creating smaller social circles and meeting new people. Your children will eventually become friends with children who attend the local district schools. There are several opportunities to meet your community members at district meetings, church, supermarkets, and other places you all frequent. The location you choose to live in will influence the type of people you meet. If you have children, you should be focused on finding a home in a community you’re comfortable in. Before moving to a new city, you should want to ensure that it is safe for you, your children, and your properties. The police force in Surrey is a detachment of the Royal Canadian Mounted Police (RCMP), and they are tasked with the duty of keeping the city safe. Just recently, the city made a move to change to a local police force, but that change will only come after a long process which will probably take years. The RCMP claims to work with the people to enhance the livability of the state. If you ever have any concerns about your safety, you can call them on 9-1-1 in an emergency, and 604-599-0502 in a non-emergency situation. RCMP has 6 offices located around Surrey, and its staff speak a combined total of 46 languages to accommodate the immigrants who join the community daily. Officers are often recognized by their uniforms, but they could be wearing a red or blue serge during important ceremonies. Specialized teams are often made up of plain clothed officers to carry out their duties without suspicion. If you’re ever in a situation where you need to identify an individual as an officer, it is within your rights to ask for an identification badge. If you’re still in doubt, you can call the police station in your local district to confirm their identification. The weather in Surrey is very liveable, and it provides one of the best work conditions you can find in Canada. This section of B.C. is basically a rainforest, and the weather can range between -5 to 30°C. There’s always ample vegetation, and the greenery parks around the city are proof of how friendly the weather is. Snowfall is expected to last less than a month, and it is hardly windy, probably due to the rocks which block out wind flow. However, because it is a rainforest, you can expect more rainfall than other parts of B.C. including Vancouver. The city also gets a lot warmer during summer, and temperature could go all the way up to 20°C. Does Surrey seem like a great choice yet? There are new and exciting opportunities available for everyone in Surrey. Like every other place, your experience in the city will depend on how easily you immerse yourself into it. Don’t feel hesitant to experience the new culture and learn new ways of life. Whether you plan to start a new career path, build a family, or just find a home that feels like yours, Surrey, British Columbia, might just be the place for you.